Take The Escapist's World of Warcraft Anniversary Quiz(zes)! World of Warcraft turns five today, and so in celebration we're bringing you a pair of quizzes about life and adventuring in Azeroth - with a pair of badges at stake, too! 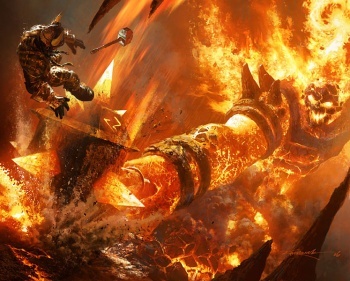 Casual questers in Azeroth might want to try their hand at the "Normal" quiz, but if you've been waiting for a real challenge, set the difficulty to Heroic by taking on our "Impossible" quiz, a quiz that will separate the merely Epic from the truly Legendary. Trust me: Getting 100% on your first go won't be easy, as these questions pull from all five years of World of Warcraft. On the other hand, you can try as many times as you like and take as long as you want in order to get the special badges awarded for getting all 10 questions right, but dilly-dallying will be reflected in your position on our leaderboards.